Yemen is facing a severe humanitarian crisis due to longstanding conflict between the government and the Houthi movement, which escalated in 2015. After President Hadi was forced to resign, an international coalition led by Saudi Arabia and the UAE began bombing Houthi-controlled areas.? As of February 2019, at least 24.1 million people in Yemen are in need of humanitarian assistance, an increase from the 22.2 million people in need reported in 2018.? 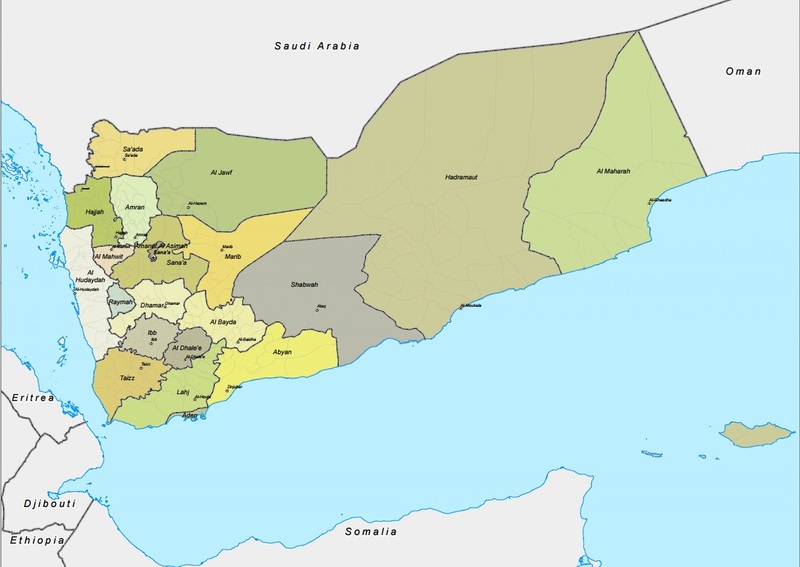 Yemen faces a severe food security emergency. Some 238,000 people were in IPC Phase 5 (Catastrophe) levels of food insecurity in December 2018 and January 2019. Moreover, approximately 9.64 million people were in IPC Phase 4 (Emergency), and 10.23 million people in IPC Phase 3 (Crisis). Some 19.7 million people lack access to adequate healthcare, of which 14 million are in acute need of assistance. In addition, there have been outbreaks of cholera and diphtheria.? Widespread violations of international humanitarian law have resulted in loss of life and destruction of infrastructure. Around 3.34 million people are internally displaced.? Fighting and airstrikes limit access to humanitarian assistance.? Al-Qaeda in the Arabian Peninsula has an active presence in some of the southern governorates, as does the Yemeni branch of ISIS, although to a much lesser degree.? For 2019, INFORM rated Yemen's risk of humanitarian crisis very high, at 7.8/10. The "Hazard and exposure" category is ranked at an alarming level of 8.1/10.? 18/04: Over 223,000 suspected cholera cases and 464 deaths (CFR 0.21%) have been reported since the start of 2019. Around 2,500 suspected cases are being reported daily and 21 out of 23 governorates are affected. 17.8 million people currently lack access to WASH services, exacerbating the situation. Fighting continues to constrain access to affected areas and the imminent rainy season is likely to accelerate the spread of the disease.? 09/04: On Sunday 7 April an airstrike carried out by the Saudi-led coalition hit an hangar in a residential area in Sana’a, Shu’aub district, damaging civilian houses and a neighbouring school. 11 civilians, including students, have reportedly been killed and 42 injured.? Food security: 238,000 people in IPC Phase 5 (Catastrophe) food insecurity levels, indicative of extreme food gaps, and significant mortality due to outright starvation or the combination of acute malnutrition and disease.? Health: 19.7 million people in need of basic healthcare, including more than 14 million with acute needs.? WASH: 17.8 million people in need of WASH assistance. Of those, 12.6 million are in acute need. ?